It’s curious that the language I’ve mostly worked with — Italian — has provided the adage which is routinely quoted in any discussion of the challenges of translation, and yet no-one seems to know who first coined the phrase. It appears in the plural form Traduttori traditori (“translators traitors”) in a collection of Tuscan proverbs by the 19th-century writer Giuseppe Giusti; but this is an isolated occurrence which doesn’t appear to have any literary antecedents, nor is there any trace of the route by which it cut loose from its Italian origins and became a free-floating, multilingual cliché. Perhaps readers can come up with some examples that I’ve missed. At first sight it seems surprising that the folk wisdom embodied in proverbs should concern itself with the difficulties of such a rarefied activity as translation. But I suspect that’s not what the proverb is about. It’s more plausible to see it as an expression of the wariness in popular culture of any language which is not readily understood, and specifically the distrust of those who use unfamiliar language as an instrument of power. In Italy this has meant, historically, those who used Latin to reinforce the mystique of their profession: priests, lawyers, doctors. Manzoni in I promessi sposi created two characters who have themselves become proverbial for the way they use their meagre stock of Latin catch-phrases to cheat the betrothed couple of their rights: the craven priest don Abbondio and the splendidly-named lawyer Dr Azzecca-Garbugli (for which a literal translation would be something like “coiner of confusion”; Colquhoun’s classic version renders it as “Quibble-Weaver”). Manzoni’s satire hits the mark because he accurately pins down a source of popular resentment and gives it just the right degree of comic exaggeration. The proverb expresses the same resentment, and its plural form is eloquent, as if the only conclusion to be drawn from long collective experience of translators — those who hold the key to knowledge hidden in an unknown language — is that none of them are to be trusted. This is, of course, ironic, because translators conceive their task as being the very opposite of obfuscation; their aim is to make insights, experiences, perceptions which have been expressed in one language accessible to speakers of another. And because, by definition, this involves finding ways to express alien concepts from an alien culture, the process is necessarily imperfect, involving a succession of compromises in the search for an equivalent in the target language. All translators know this from experience, and some writers on translation have defined it, borrowing an analogy from engineering, as “translation loss.” As energy loss is an unavoidable fact of mechanics — no mechanism can be 100% efficient, and the best a designer can do is manage the loss as productively as possible — so translation loss is similarly unavoidable. A perfect translation is no more attainable than perpetual motion. So the translator’s task is not to attempt the impossible but rather to manage the losses in translation and find compensating gains. In a literary translation, it’s not hard to see that this might involve sacrificing literal accuracy for the sake of a more faithful rendering of the style or tone of the original; but a different kind of translator might well make different choices. A user of a textbook or an instruction manual, for instance, will expect the translation to be clear and unambiguous, and would consider some loss of elegance or succinctness as a price worth paying. These reflections are prompted by my recent experience of translating Galileo, himself famously forthright — his inability to settle for bland ambiguities being what got him into trouble with the church. Among all his other activities he found time to write literary criticism, and he once commented tartly, on a line of verse by Tasso who had the misfortune to be his bête noire, that “anyone can speak obscurely, but very few clearly.” If that isn’t enough of a gauntlet thrown down for his translator, Galileo went one better by becoming, in effect, the translator of his own work. In 1610 he published in Latin, the international language of science, his account of his observations of the moon and planets through a telescope; but thereafter he wrote all his major scientific works in Italian, and for the wider, non-specialist public that this implied. 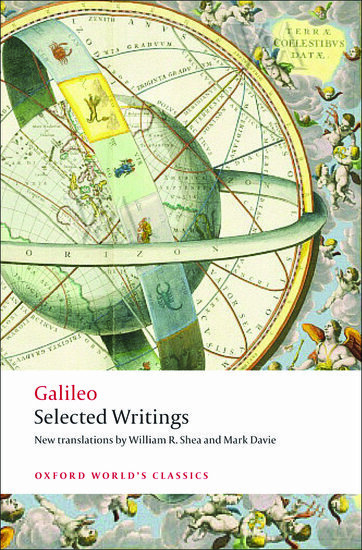 The result was a prose style which had all the colloquial pungency of the vernacular while losing none of its scientific rigour, and its impact on Galileo’s contemporaries was profound. It’s a prose which requires the translator to choose how to highlight these contrasting qualities and to strike a balance between them. In the end, my experience has been that of every translator — that for every solution that satisfies your professional pride there will be another compromise where you feel there must be a better answer if only you could find it. Or, to quote another of Giusti’s proverbs, “A tutti i poeti manca un verso.” But that’s another translator’s challenge in itself. Mark Davie has taught Italian at the Universities of Liverpool and Exeter, and has published studies on various aspects of Italian literature, mainly in the period from Dante to the Renaissance. He is particularly interested in the relations between learned and popular culture, and between Latin and the vernacular, in Italy in the Renaissance. He is the translator of Galileo’s Selected Writings, Oxford World’s Classics edition. Subscribe to only lexicography, language, word, etymology, and dictionary articles on the OUPblog via email or RSS. Subscribe to only humanities articles on the OUPblog via email or RSS. 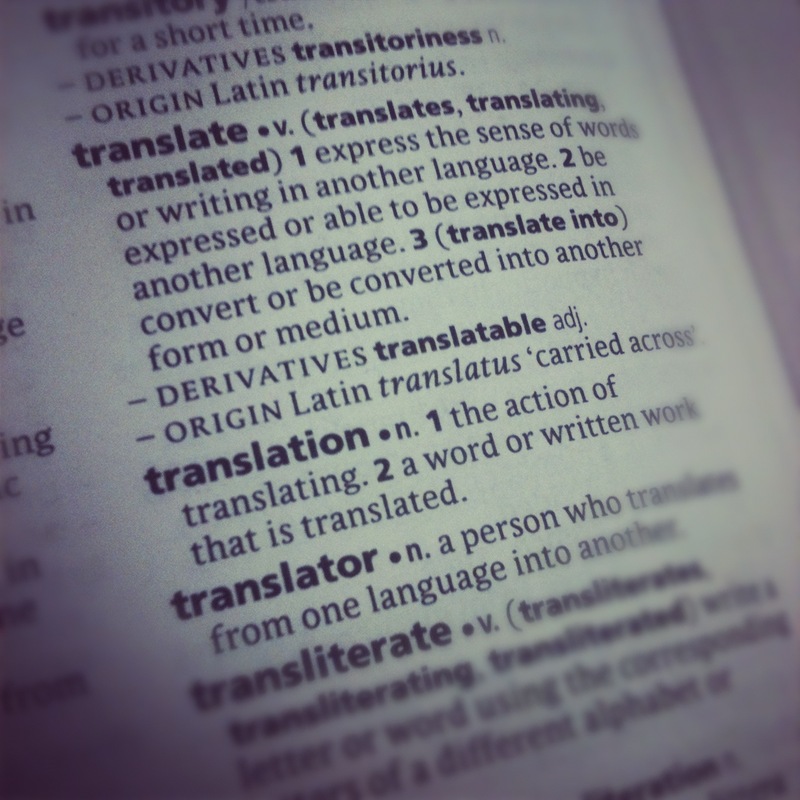 Image credit: Photo of the Pocket Oxford English Dictionary, 10th edition, page 974, focusing on “translate.” Taken by Alice Northover with Instagram Amaro filter and radial selective focus.